The Shantadurga Temple complex is located in Ponda Taluka, Goa, around 33.5 kilometers (21 miles) outside of Panaji. The first mud shrine that was built in the area was changed to an impressive temple in the 18th Century and the work on the Temple was completed in 1738. The Temple is dedicated to Goddess Shree Shantadurga who was a mediator between Shree Vishnu and Shree Shiva and helped to put an end to the war between the two. This story can be seen at the Temple, in the form of an idol of the goddess with Shree Vishnu and Shree Shiva on either side of her. The site has been renovated many times since its completion so that it retains its original glory, with the most major renovations taking place in 1966. The entire site has been subject to these renovations, including the main Temple, the temples of other deities, and the agarshala which is a guest house. It’s a truly impressive choice if you are looking for things to do in Goa. If you visit Old Goa in India then you can’t fail to be impressed by the sight of Se Cathedral. 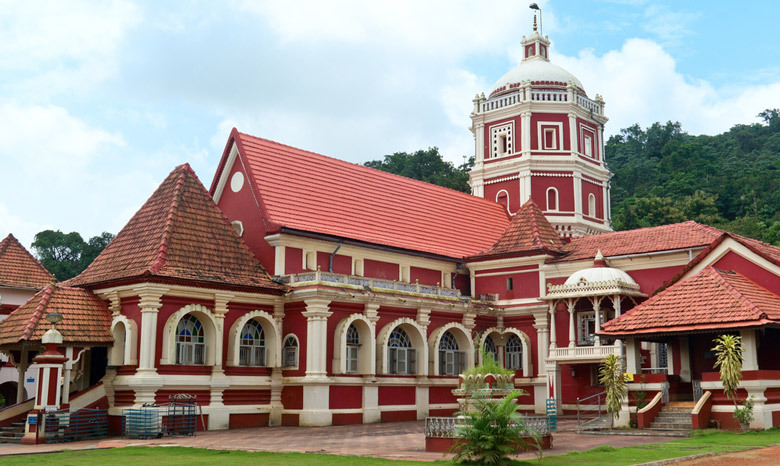 It’s the home of the Roman Catholic Archdiocese of Goa and was originally built as a way of commemorating a victory in battle by the Portuguese over a Muslim Army. It was after this victory that the Portuguese took control of Goa, in 1510. The building was dedicated to St Catherine as the day of the battle victory was her feast day. The building that you can see today is larger than the original structure and it wasn’t consecrated as a cathedral until 1640. Although there were originally two towers today you’ll only see one. The other collapsed and was never replaced. 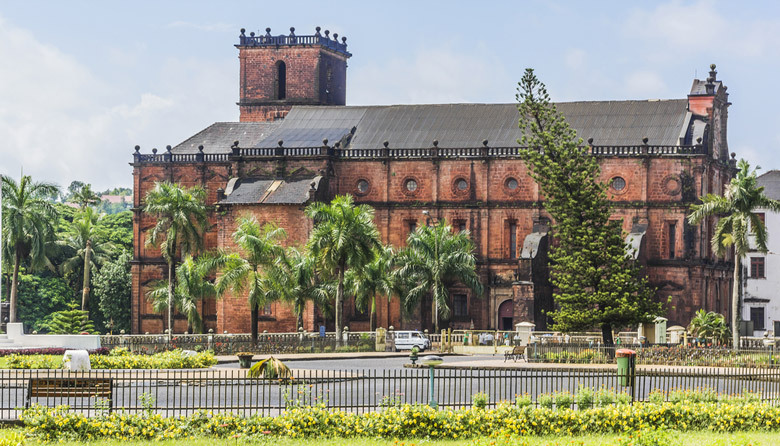 As Goa attractions go, the cathedral is one of the most beautiful and holy sites in the area. It’s also the largest church in Asia and home to the tomb of St. Francis Xavier. Visiting the cathedral you approach up a flight of steps and through a picturesque courtyard. Inside the cathedral you can admire the four chapels and the wooden carvings contained in two of them. It’s a truly impressive structure built in the Portuguese Gothic style. The Church of Our Lady of the Immaculate Conception is a working church that was originally built as a chapel in 1541, with the current building being erected in the 1600s. The church is located in Panjim in Goa and mass is held there each day. When the original chapel was built on the site the area around it was a small fishing village and the chapel was attended by Portuguese sailors. As the area grew, the larger church was built to serve the needs of the whole community. 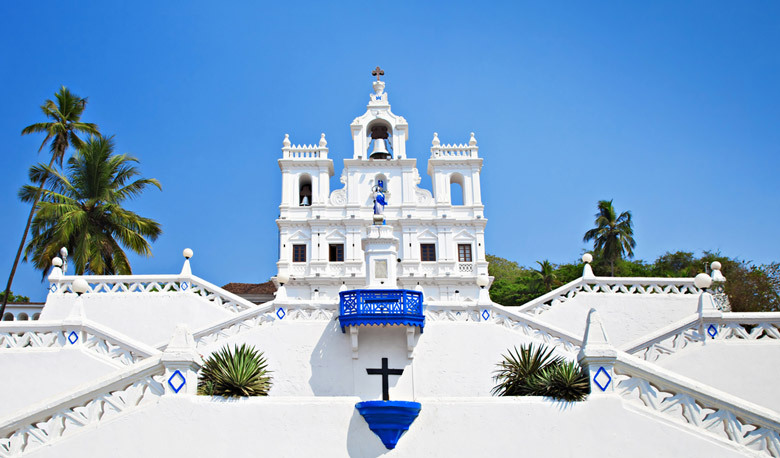 This pristine white church stands at the center of Panaji and is truly an impressive sight. Visit today and you can admire its multi colored interior and prepare to be awestruck by the power of the huge bell. The bell was originally housed at the Augustinian monastery in the old part of Goa and was moved to its present position in 1871. As the name of this religious structure suggests, its busiest time tends to be around the time of the Feast of Our Lady of the Immaculate Conception which takes place on December 8 each year. St. Francis Xavier is a well-known saint the world over. After his death in 1552 he was actually buried more than once. 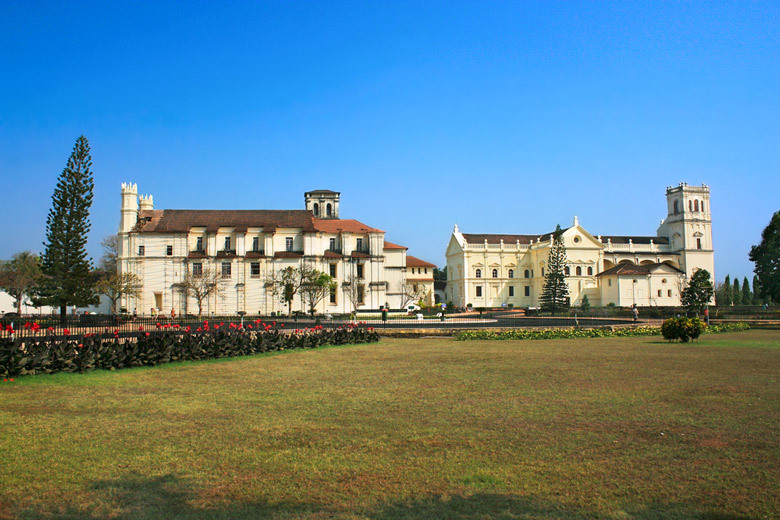 His body was eventually transported to Goa in 1553 and a funeral was held at the College of St Paul. Francis was canonized in 1622 but the news took some time to reach Goa and the occasion was not celebrated until 1624. At this time his body was moved again and placed inside a silver casket. All of the festivities around the occasion were recorded in a book which is now kept in Rome. Incredibly, the body of St Francis was moved again in 1637 and placed in another casket which was again made of silver. This casket was created with a blend of Italian and Indian art and is an incredible sight to see. It’s decorated with silver plates that each depicts a different event in the life of St Francis. Today the coffin lies atop an ornate mausoleum which was a gift from the Grand-Duke of Tuscany in 1698. 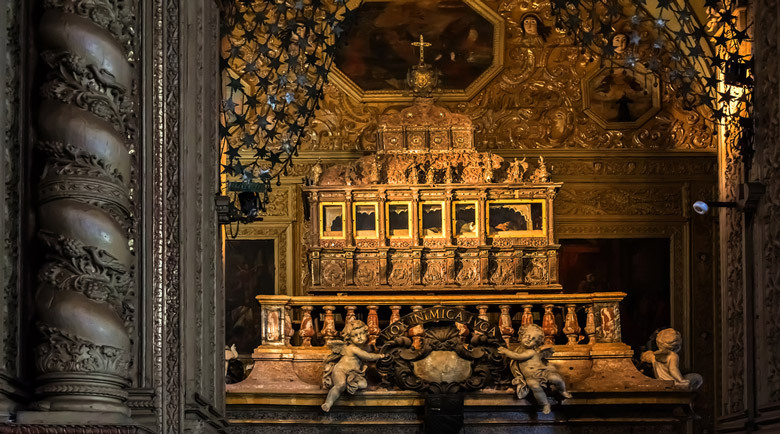 The tomb of St. Francis Xavier includes not just the casket and the breathtaking mausoleum, but also four altars, located one at each side of the tomb. There has been a fortification on the site of the Reis Magos Fort since 1551, although it has since been expanded and then re-built. Historically, the fort was a place where important dignitaries from Portugal were housed but it has also been used as a means of defense against the Hindu Marathas and as a prison, over the years. One reason why this is such a top thing to do in Goa is the view from the castle. It’s stunning, and the structure itself is in remarkably good condition, much of which is due to the restoration work which began in 2008. The restoration only began after several years of neglect and has resulted in a major attraction for visitors. As well as attracting many tourists with its history and views the fort also serves as a cultural center and the last time it served as a prison was back in 1993. Today Reis Magos Fort is the perfect example of how people can work together to return what was once a disused and neglected building to its former glory and convert it into a place that benefits both the local community and visitors to the area. 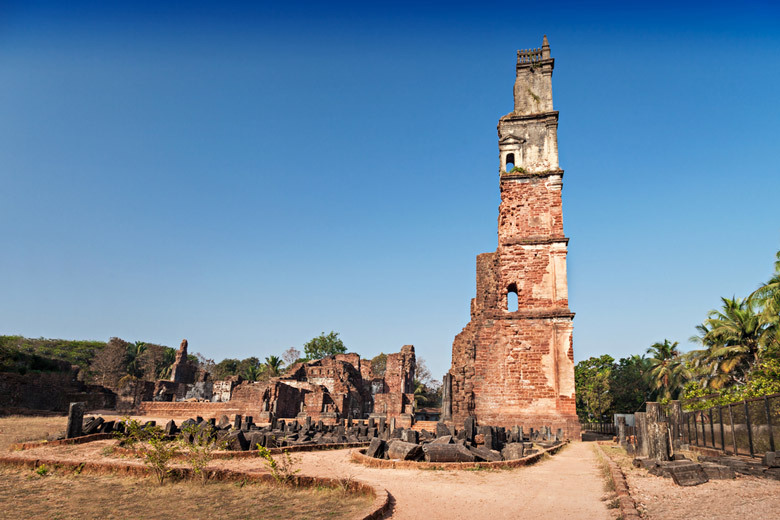 At the time when the Portuguese first arrived, Old Goa was the major city in the eastern empire of the European country. It was wealthy and a hub of life and activity. It was compared to Rome and was actually bigger than the Portuguese capital, Lisbon. The golden times in Old Goa were short lived as the city was hit with several deadly epidemics, including malaria and typhoid. After all the problems the city was eventually abandoned. 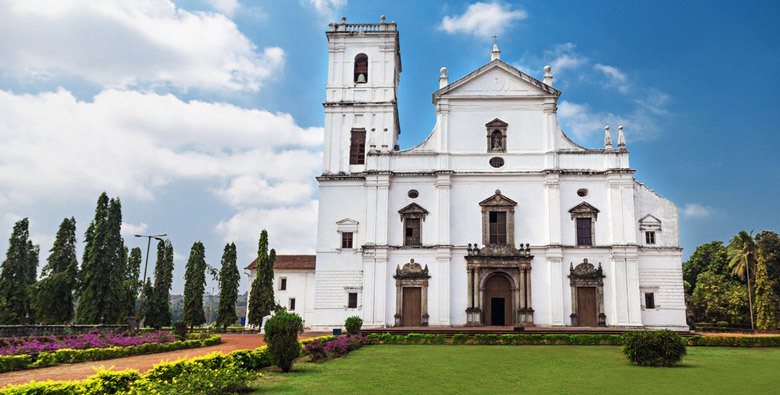 Today, all of the past problems that occurred in Old Goa can almost be forgotten as the area is a popular tourist site with its small selection of churches and convents. The fact that these are just remains though makes you realize that you are standing in the center of what used to be a thriving city. If you have a list of Goa attractions that you intend to visit, this should be near the top. It’s a stunningly well-preserved reminder of the history of the area. During monsoon weather the Dudhsagar Falls are spectacular. If you look at the gush of rushing water from a distance it looks like milk pouring from the Western Ghats. The name of the falls actually means “sea of milk” and comes about because of the milk colored foam that rises up from the bottom and gives the site its milky appearance. The waterfall is situated in the Sanguem taluka and is hugely popular with people visiting the area. 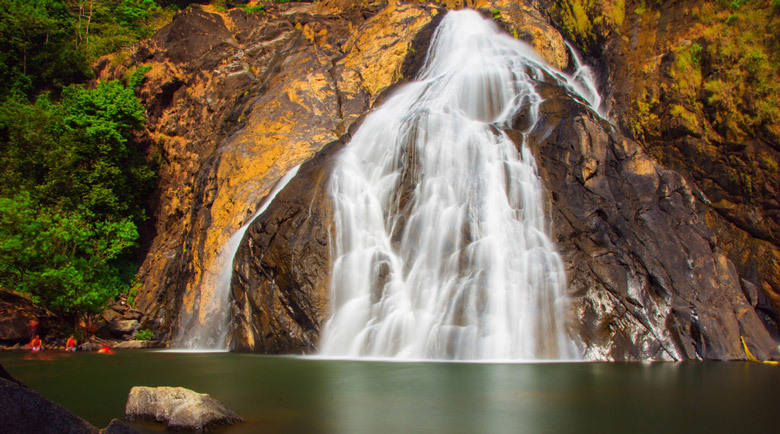 The incredible falls are almost 2,000 feet high and are formed by the Mandovi River. Three torrents of water cascade into a green pool below. If you want to visit this amazing Goa attraction you have to do so by foot or by train as the area is covered by tropical forest. The trip is definitely worthwhile as the scenery is absolutely breathtaking. If the falls are on your list of things to do in Goa then it’s worth knowing the story that is associated with them. According to legend, a wealthy king lived in the Western Ghats and he had a daughter who bathed in the water and drank a jug of milk afterwards. One day she caught a prince watching her and poured the milk to protect her modesty. After this time the milky waters have flowed all the time, in honor of the virtue of the princess. The Basilica of Bom Jesus is famous the world over as the home of the tomb of St Francis Xavier. 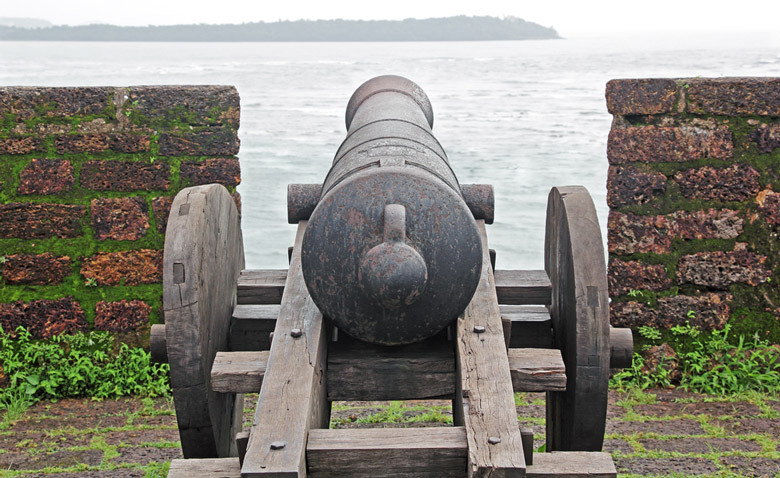 Francis was well known for conducting many missionary voyages through the Indies, and the final resting place of his body is a popular Goa attraction. Even without its association with St. Francis, the basilica is an excellent choice if you’re looking for things to do in Goa. It’s an impressive structure which features Doric, Ionic and Corinthian design. The basilica was built between 1594 and 1605 and features some extremely intricate carving. Unfortunately some of the carving has been eroded over the years as a result of the regular monsoon weather. This only happened when the plaster was removed from the surface of the church with the hope of making the structure of the church more secure. The opposite has proved to be true, but the basilica has never been re-plastered. 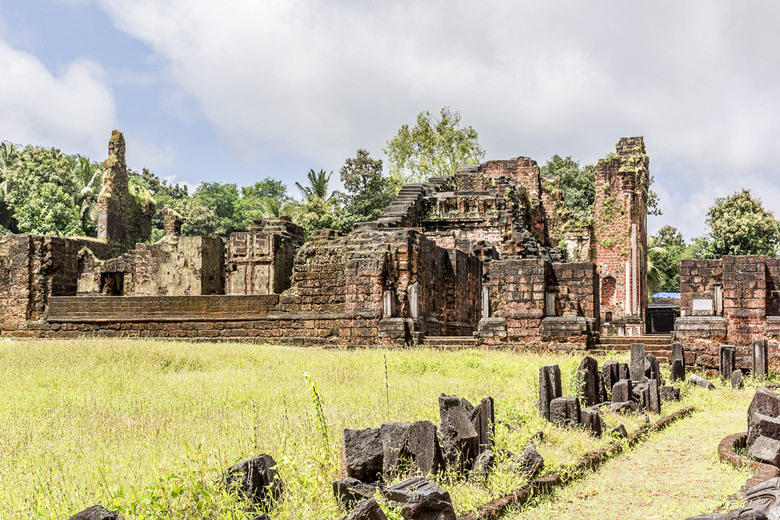 Even with the damage it has sustained, the Basilica of Bom Jesus is an eye catching site to see and offers the opportunity to visit the tomb of St, Francis at the same time as admiring the incredible architecture. 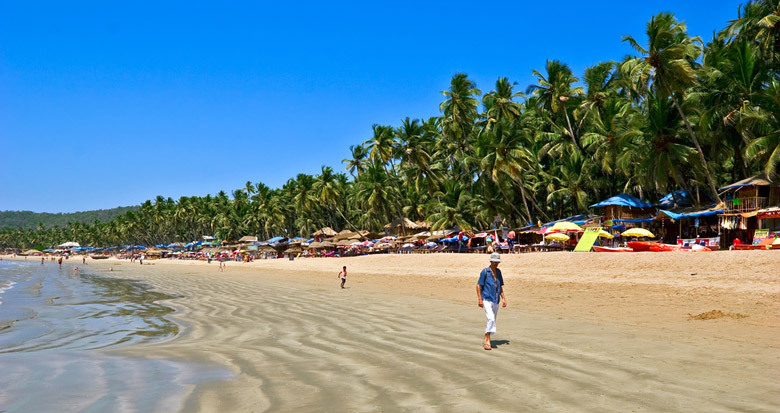 Goa is arguably best known for its array of amazing beaches. 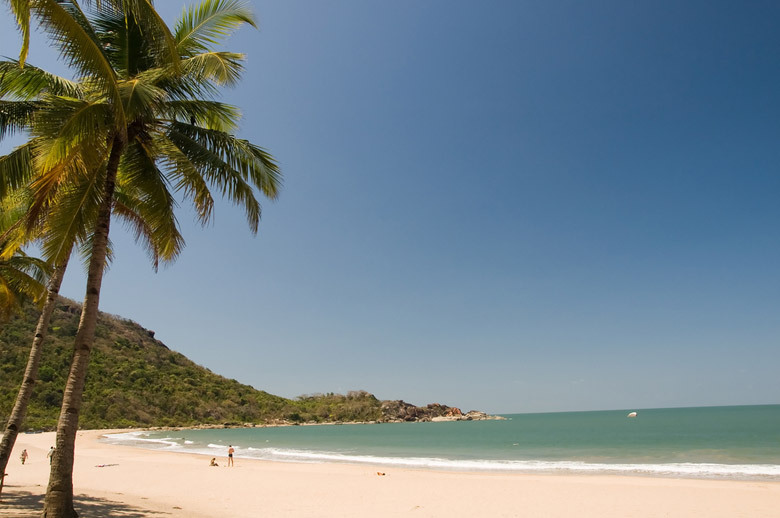 Palolem Beach is the first of two stretches of sand which feature on our list of what to do in Goa. There is absolutely no doubt that it’s a stunning beach, with swaying palms lining the sands. It’s also a very busy beach during the main tourist season so if you prefer something quieter then you need to avoid Palolem at this time of year. Of course, it’s a different story if you visit the beach in September or early in October. 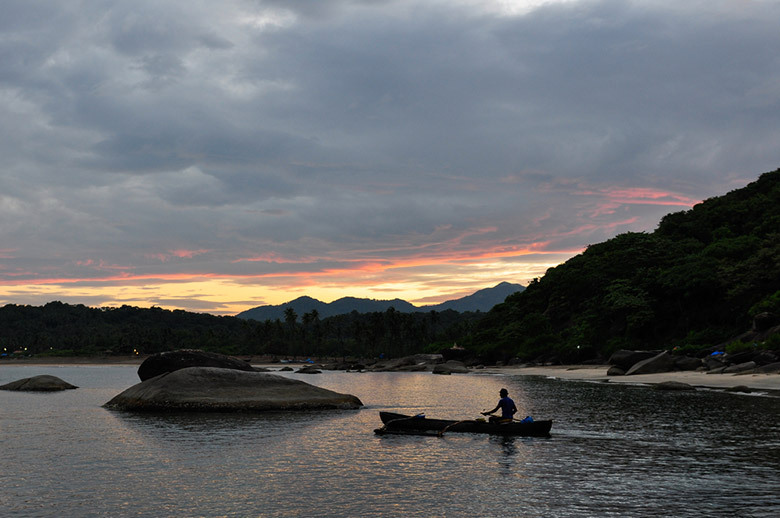 During this period you can see what Palolem Beach was like before its surge in popularity. Palolem can still be a great place to visit during the main season; the atmosphere is electric and there is plenty of activity. It’s a popular place with the many backpackers who come to the area, and with families because the bay is protected making it a safe place to take part in water sports. The area isn’t just about the sand either. 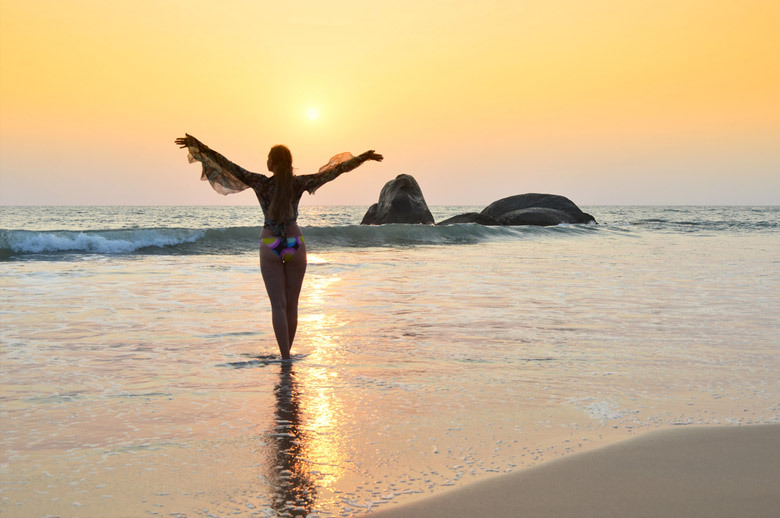 If you visit Palolem you can also take part in activities such as yoga or cookery classes, or you can simply take some time to check out the local scenery and wildlife. It’s only fitting that for a list of the top things to do in Goa we would end with another beach, and Agonda Beach has a far less touristy feel than Palolem. The sands of Agonda Beach are beautiful and they stretch far into the distance. There is plenty of beach to explore and it never gets too crowded. Another thing to mention about Agonda is that most mobile phone services do not work here; which is a good thing if you want to just relax in peace! The waters at Agonda are not as calm as they are elsewhere in Goa so it’s not the perfect place to go for a swim but it’s still possible to take to the water. The real benefit you get from a visit to Agonda Beach is that it’s a picturesque and peaceful spot to just spend some time chilling out. The area is also cheaper than Palolem and you don’t feel any hassle. If you really want to experience a more vibrant atmosphere it’s only fifteen minutes on a motor bike from Agonda to Palolem; make this trip and you get the best of both worlds.